Acne takes many forms but the commonest type (Acne Vulgaris) is an inflammatory skin condition characterised by obstructed sebaceous glands, causing pimples and sometimes deeper cysts or nodules. It commonly affects the face, neck, chest, back, shoulders and upper arms. The precise causes are multi-factorial but the basic problem is over-stimulation of oil (sebaceous) glands by hormones such as testosterone. The resulting oily sebumcauses the pores to become blocked, allowing bacteria such as P.Acnes to proliferate within the gland, thereby resulting in the classical acne spots and pimples. Acne is extremely common, typically starting in teenage years and over 80% of adolescents will be affected at some stage or another. Moreover, around 30% will continue to suffer from acne issues into their adult life. How do lasers work with acne? Destroy Bacteria: Studies show that certain discreet light spectra actually destroy the bacteria responsible for causing acne spots in the first instance. 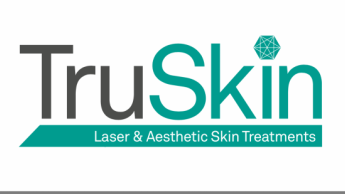 Stimulate Collagen: Lasers stimulate collagen production by heating the deeper layers in the surrounding skin, thereby accelerating the natural healing process. Therefore, spots disappear more quickly than they might otherwise have done. Thus, this dual action minimises future scarring and also has an additional tightening effect, improving skin tone. During treatment you might feel some transient pin-prick sensations but no anaesthetic is required other than cooling the skin. How does it feel afterwards? There is occasional redness and a slight warming sensation of the treated areas, a bit like sunburn but we minimise this by applying a cooling pack. A small minority of patients may also develop some bruising or blistering but this will usually settle within a few days. Very rarely one sees some pigment changes following IPL/laser treatments but these will normally resolve within a few months. However, it is imperative to avoid sun exposure and thus we recommend using high factor sun protection (e.g. Cosmedix reflect SPF 30) for at least two weeks after each treatment, preferably long-term because of the obvious benefits of minimising further solar damage. Most patients should start to see some beneficial results after only the first month but best results are achieved following a full course as recommended below. We normally suggest an initial course of 4-8 treatments at fortnightly intervals to get the maximum improvement in a patient’s acne using IPL or Nd:YAG lasers. This is faster and often far more superior than conventional therapies. Periodic top-up sessions are usually required after the initial course to maintain the benefits, typically every 4-6 months. The conventional treatments offered by the NHS range from simple reassurance for the very mildest cases to topical lotions/creams containing benzyl peroxide or antibiotics through to oral antibiotics and also, more recently, topical and oral retinoids. If taken long term these treatments are certainly effective in active acne but not in all cases and are also not without side-effects. Furthermore, they have little impact on the permanent scars of previously untreated acne. The initial consultation is entirely free of charge and with no obligation. We will recommend an individualised treatment programme. The precise cost will vary depending upon the severity of acne and the surface area involved. Please see ‘Prices’ page for guide.